Here's the projects we've worked on - Contact KingGrapes if you'd like to discuss your website needs. Liddle Wonder - The site of one of New Zealand's foremost nurseries. now closed, Liddle Wonder retains their website as a show case of some of the finest ornamental plants available in New Zealand. Incredible Edibles - incredible edibles® presents an exciting range of unusual fruiting plants that look great in any garden setting both in the front and back gardens. They will all flower and of course they will all provide you with fresh healthy fruit. Plant Wholesalers PLANTLINK - PlantWholesalers PLANTLINK provides a a proactive marketplace for the sale of growers and allied trade products and a complete plant search and supply service to the landscape industry, your one stops shop of all the plants for a landscape project. Federation Daisies - Federation Daisies come straight from the NuFlora International daisy breeding programme at the University of Sydney. Their brief was to breed and select superior forms of these timeless garden treasures with emphasis on superior garden performance. Kidsreach - An inter-denominational Christian organisation with a mission to train, resource, equip and encourage people who minister to children. They do that in a variety of ways - training through seminars and conferences and have a large number of resources available that includes curriculum, counselling children topics and professional development manuals for those who minister to children. GardenFX - Adding value that keeps on growing, GardenFX provides superior urban and lifestyle block garden landscape and outdoor living solutions for the Horowhenua, Kapiti Coast and northern Wellington suburbs. ToucanLogic - ToucanLogic's TCL::WebGen provides innovative and dynamic inventory and website management. Using InfoServices’ inventory management system you manage your product and stock files, monitor stock movements, set prices, produce stock lists - all from the convenience of your own office and in your own database. 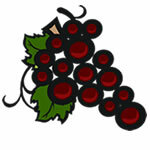 Out front, KingGrapes builds your website ready to handle TCL::WebGen’s website uploads. At the press of a button, or automatically if you choose, stock data is effortlessly loaded to your website. Website maintenance made easy; never again need your website be out of date! KiwiGold - KiwiGold® is the home of new & exiting plants for Kiwi Gardeners. Unique new plants bred in New Zealand or hand picked from the best new offering from around the world. Their plants have been bred & selected for their excellent performance under New Zealand growing conditions. They exhibit excellent growth habit, ease of maintenance, exciting foliage, flowers & form but most importantly their proven garden performance. KiwiGold simply offers you the best of the best. Tharfield Nursery - Specialist propagators and suppliers of significant commercial fruit plants. Twigland Gardener's World - Leading Wellington garden centre - They have a huge range of plants and product all year round, including product not easily procured. Twigland's displays will give you inspiration, they solve garden problems and make landscaping easy and simple to follow, saving you money and frustration. Liddle Estate - Liddle Estate Waikanae offers an exclusive opportunity for living in Waikanae on New Zealand's popular Kapiti Coast. The first stage of the development involves just eight sections set amongst and near amazing native bush with extensive underplantings in ferns. Native wood pigeons, tuis and bellbirds are frequent visitors, and excellent soils will be a real delight to gardeners. No other developer can match Liddle Estate. Lyndale Liners - Lyndale Nurseries Auckland Limited provides wholesale growing on lines (GOLS), liners, for New Zealand Nursery Growers. They specialize in propagating a wide range of plants from from seed, cuttings and tissue culture. They also administrate Plant Variety Rights (PVR) for breeders in New Zealand and worldwide and with partners in Japan, North America, and Europe, distribution can be accomplished overseas for protected varieties. Lyndale is the also the New Zealand head agent for Colourwave®, and KiwiGold® and we work closely with Keith Hammett, Paradise Plants, Terra Nigra, and Greenhills Nursery. Lyndale also provides custom bulk potting mix locally around Auckland. Naturally Native - New Zealand’s leading native plant wholesaler. Since 1980 Naturally Natives have been supplying quality native plants into the retail, commercial, contract and export markets. Their philosophy is simple – they are dedicated to providing native plants of the highest quality while delivering superior service and expertise to all of their customers. Colourwave - Colourwave® summer perennials provide an exciting and easy way to add big splashes of vibrant colour to the home landscape, whether in the border, or on the patio. Having been trialled all over New Zealand, you can be sure Colourwave® Petunias, Calibrachoas, and Verbenas, will give that extra ‘WOW effect’ for your garden or patio. Simon Forsyth - At Simon Forsyth Photographer, they are committed to providing you with a finished portrait that you will be proud to display for the years to come. They know your portrait is a unique expression of your families’ relationship with each other, and, as such it is priceless. Because Simon Forsyth personally creates every portrait that goes out with his name on it, his signature is your guarantee of quality. KidskeepSafe - Kids Keep Safe aims to provide children with a new, contemporary and empowering tool designed to empower them to protect themselves against abuse. Damsted Flowers - Breeder’s representative specializing in New Zealand & Australian native plants . Worldwide export/plant brokerage of southern hemisphere native plants, New Zealand, Australia and South Africa. While being based in New Zealand they outsource some production to nurseries and tissue culture labs in various countries, as well as having production in New Zealand. Hahei Plants - New Zealand’s biggest wholesaler of Cycas revoluta, Australian grass trees, Mexican grass trees, Beaucarnea and Dracaena. Also specialising in Frangipani, Yucca and Sansevieria. We have grades to suit Landscapers, Hire Plant companies and Garden Centres. New Zealand’s only supplier of Xanthorrhoea glauca and X. preissii. Large, ancient specimens available. Garden Features : Antique pots and water jars from China and Burma. Unique pieces up to 200 years old. Plant Production - Plant Production are market leaders in innovative propagation for all wholesale needs offering an extensive range of ornamental trees, shrubs, perennials, grasses and natives. Sunbather Daisies - Sunbathers Daisies come from NuFlora International's breeding programme at the University of Sydney. They're new generation gazanias with characteristics that others can only dream of ~ incredible flower performance, dense growth habit and flower cover, large brightly-coloured flowers, improved tolerance toward cold and an all-round superior performance. Quality Growers - A group of New Zealand nurseries dedicated to bringing great garden plants to NZ gardens and gardeners. IPM Services - Introduce a managed approach to control the pests and diseases that threaten your ability to produce consistently high quality plants and crops for your clients. Integrated Pest Management relies on a combination of common sense practices to help you improve efficiency, reduce costs and maintain safe practice.